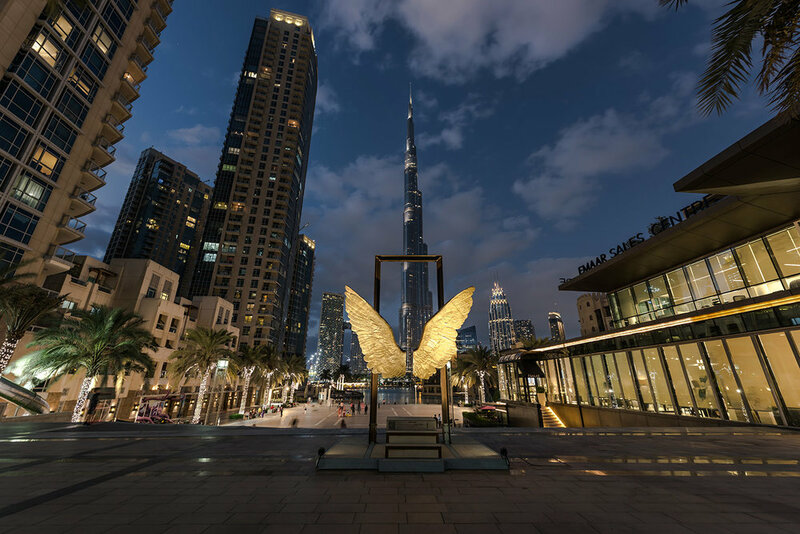 Wings of Mexico is a sculpture that shows the possibilities of human creation and interaction. Standing for the desire of the body to fly, it represents the capability of flying with our mind, going beyond one’s physical capabilities and inviting us to transcend our own limits: a way to escape our physical boundaries. Since 2015 this piece has been displayed in Abu Dhabi, Dubai, Singapore, Shanghai, Hong Kong, Berlin, Los Angeles, Quebec and Mexico City. 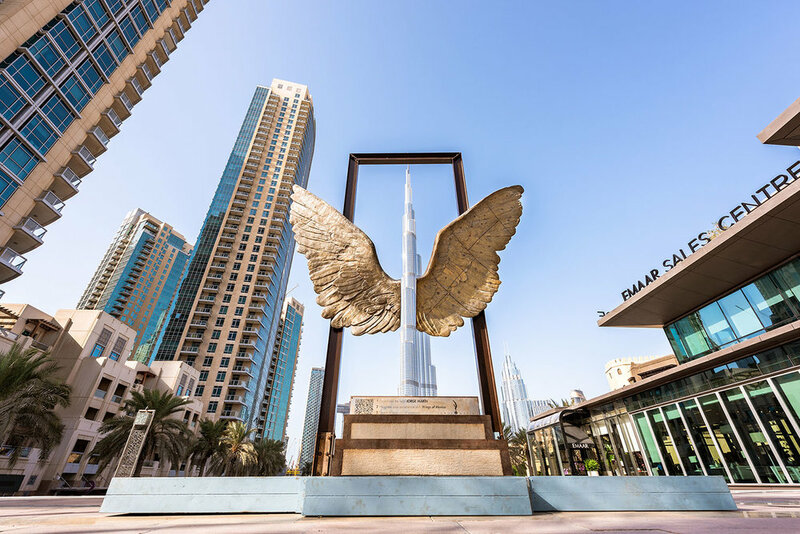 The Wings of Mexico have captivated hundreds of people around the world, making of their original location one of the most photographed spots in Mexico City. Jorge Marín was born in Mexico in 1963. He experimented with different scales in sculpture, spanning from miniatures to monumental pieces which are exhibited all over the world. Marín aims to take art into public space to foster social regeneration, and nurture the understanding of the city as fundamentally human space.